Microsoft Excel is an application for working with spreadsheets. With it, you can perform even the most complex calculations using the built-in wizard functions and build on the basis of numerical data graphs and charts. Start the program Microsoft Excel. Enter table header (column names). Select the range of cells that you want violnet the calculation of the formula. Click menu "Format" — "Cells". In the tab "Number" choose the number format and set the number of decimal places — 2. Click "OK". After setting the format, you can proceed with calculations in Excel. Enter initial data for calculations in table columns. Place the cursor in the cell where you want to get the result. Enter the = sign. Then enter the formula using the signs +, -, /, * to perform the corresponding mathematical operations. If the formula is present in a fraction, use it instead of a division sign, and the numerator and denominator enclose in parentheses. To add into the formula the values from the cells, highlight them with the mouse. For example, to calculate the formula sum cells C1 and B1, enter in any cell the following: =C1+B1. The cell addresses you enter manually or press the left mouse button and the address will be added automatically. To finish entering the formula, press Enter. Use AutoFill to calculate by a similar formula the values in the columns. To do this, select the cell with the formula, hover over its bottom right corner, the mouse cursor changes to a + sign in black. Hold down the left mouse button and drag down to the end of the column with the original values. Perform a calculation using the function wizard Excel for more complex calculations. For example, to calculate the average value in the column, place the cursor in any empty cell, then on the toolbar click the "function Wizard", select the group "Statistics" — "average", click "OK". In the opened window click the button to add a range of cells. Scroll to the desired value, press Enter. In the wizard dialog, click "OK". In various programming languages for verification of any terms and conditions are "conditional statements". 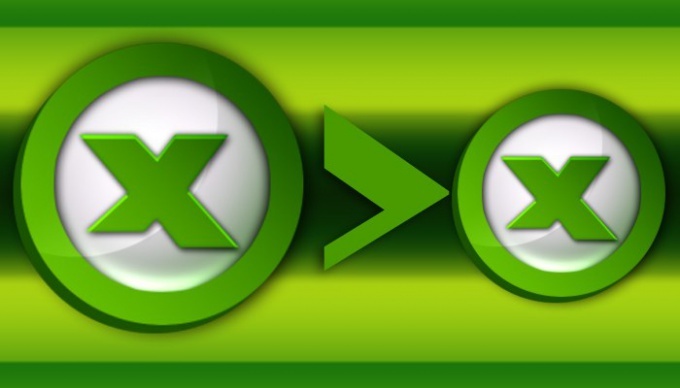 The table editor Microsoft Office Excel has its own set of functions that can be called a very simplified programming language. In this analogue of the conditional operator is a function of "IF". Spreadsheet editor of Microsoft Office Excel. Select the spreadsheet cell into which shall be placed the function of checking the conditions and start the wizard to create formulas. This can be done by clicking on the icon placed to the left of the formula bar. In the opened window, open the drop-down list "Category" and select "Logical". Below this list appears the list of functions, scroll to the line "IF", click OK, and Excel will open the form creation function. This same form can invoke another method in the command group "Libraries and functions" on the Formulas tab open the drop-down list of "Logical" and select "IF". Go to the next form field - "Znacheniya". Enter the number, word or address of the cells in the table that needs to display a cell if a specified condition is met. A word or phrase should be in quotes, numbers without quotes, and the address of the cell it is easiest to define by clicking on it with the mouse pointer. For example, from the previous step here you can put the text ""negative"". The following form field "Znacheniya" - fill in exactly the same way as the previous one, but place the value to display in case of failure to meet the specified conditions. In the example used here, it is logical to place the inscription ""negative value not"". 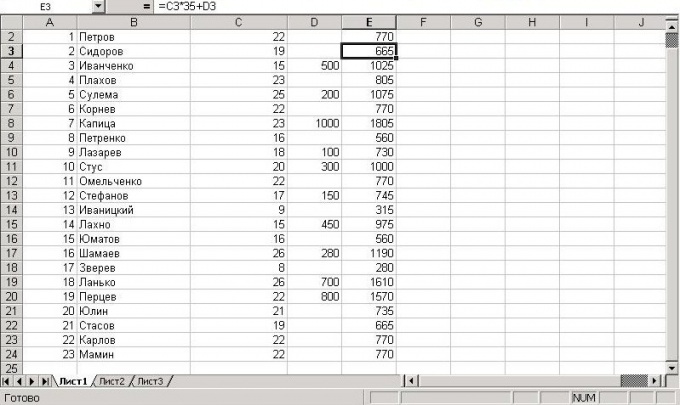 Excel is a popular computer program designed to handle large arrays of numerical data. Its prevalence is due to including a large variety of mathematical functions that allow you to automatically calculate the correct value. The main role of the average function that is implemented in Excel, is the calculation of the average values within a given numeric array. This feature can be useful to the user in a variety of situations. For example, it is convenient to use to analyze the price level for a particular product, calculate the average socio-demographic indicators in a specific group of people or other such purposes. In most versions of Excel mean value, calculated on the basis of the specified numeric array is interpreted as the arithmetic average of all the numbers included in this array. In turn, the arithmetic mean, in accordance with the mathematical definition, is understood as the total sum of all observed values divided by their number. For example, before the analyst's task is to calculate the average age of students small group English, which includes only six people. Thus they include people whose age is 19, 24, 32, 46, 49 and 52. In order to calculate the arithmetic mean age for this group, you must first find the sum of their ages, which amount to 222, and then divided by the number of group members, i.e. six people. In result it turns out that the average age of members of this training class is 37 years. To calculate the average value in Excel using the average function simply: it is necessary to give the program the range of data that you want calculated. 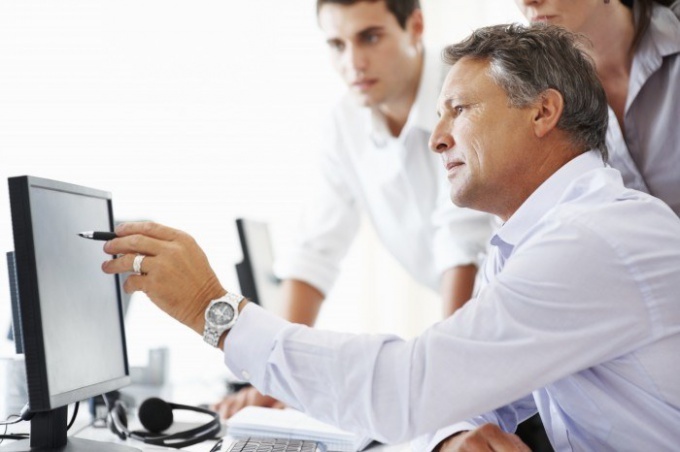 To carry out the task essential range is possible in two main ways - using the program interface or via manual input the formula. So, to use the function interface in the section "Functions" it is necessary to find the average function among starting with the letter "C" as in the General list they are sorted by alphabet. By selecting this, you will bring up a menu where the program will prompt you to enter the range to calculate. This can be done by selecting a desired cell in the Excel spreadsheet. If you need to select several cells or groups of cells, located at a distance from each other, hold down the CTRL key. The result of this function in the selected to display the results cell will be the value of the average. The second method is manual input of formulas for the calculation. In this case, at the command prompt, as for other formulas, enter " = " sign, then the name of the average function, and then, in parentheses, the range of necessary data. For example, if they are located in a column and the cells from F1 to F120, the function will have the form =average(F1:F120). Thus the range of the data, following each other continuously, as in this example, denoted by a colon, and if the data are at a distance from each other - by a semicolon. For example, if you want to calculate the average only two cells F1 and F24, the function takes the form =average(F1;F24).